2016 was a SUPER YEAR! 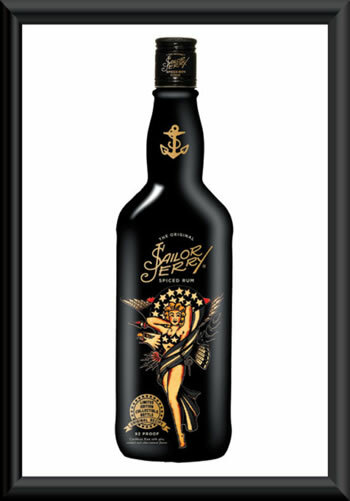 Aleethia Foundation wishes to extend a huge THANK YOU to William Grant & Sons and the USA participating distributors for their continuous support! Over $55,000 raised in 2016! 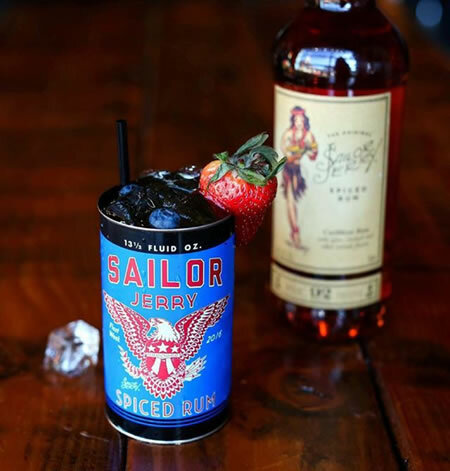 “Sailor Jerry Spiced Rum,” named to honor the life and legacy of Norman ‘Sailor Jerry’ Collins, formed the creation of The Norman Collins Initiative at The Aleethia Foundation, designed to raise funds for Aleethia in its ongoing efforts to support wounded/injured/ill service members in their rehabilitation and healing process. 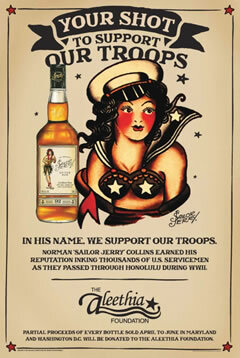 Norman Collins served in the Navy before making his home in WWII-era Honolulu. 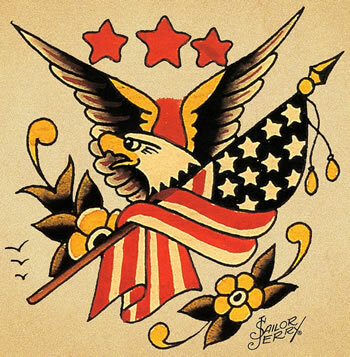 He established his legendary tattoo shop that quickly became a must stop destination for sailors on Shore Leave who would wait in line to receive Collins’ iconic, Americana flash art work. 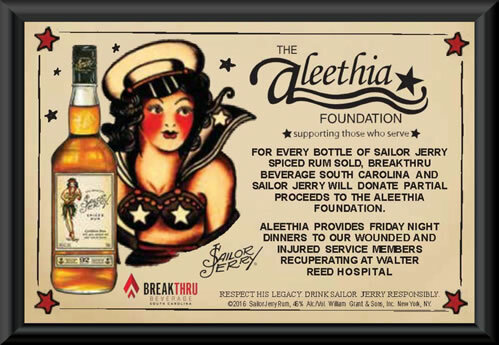 Since October 2003, over 55,000 meals have been served to service members and their families who have participated in Aleethia’s “Friday Night Dinner” program. 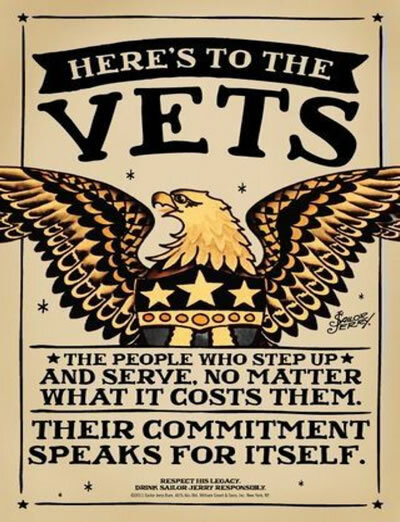 The wounded/injured/ill service members are not only facing difficult medical problems but many are away from their families and friends. A night out from the hospital helps them and any traveling family members to get away from their health issues for a short time and relax. 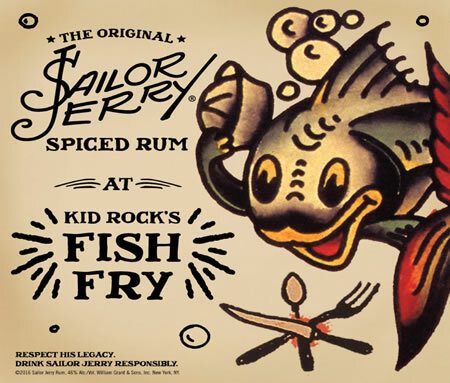 This all helps in the healing process. 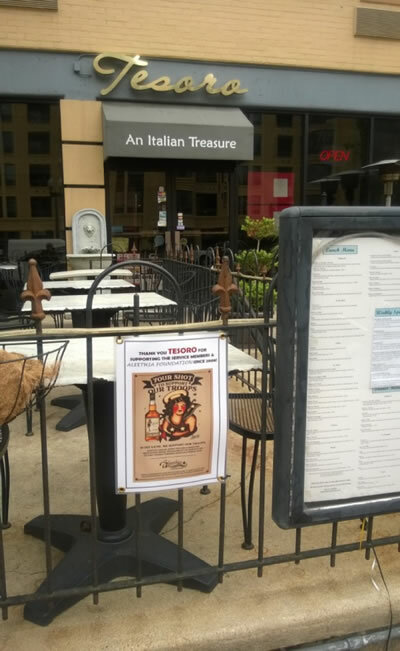 The “Friday Night Dinners” are about recovery, fellowship and community as much as they are about food. 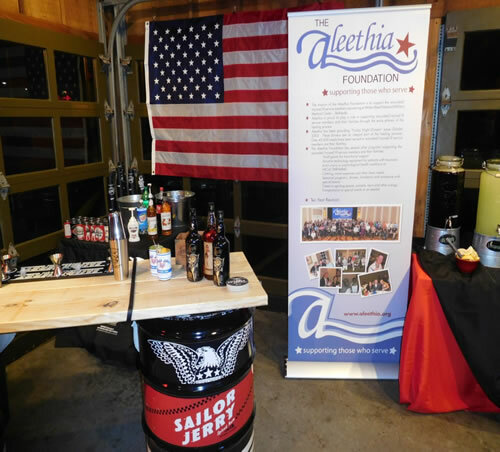 With the help of donations from supporters, The Aleethia Foundation is able to continue to support the tradition of the Friday Night Dinners, to provide special grants and to provide direct and immediate assistance to the wounded/injured/ill service members. 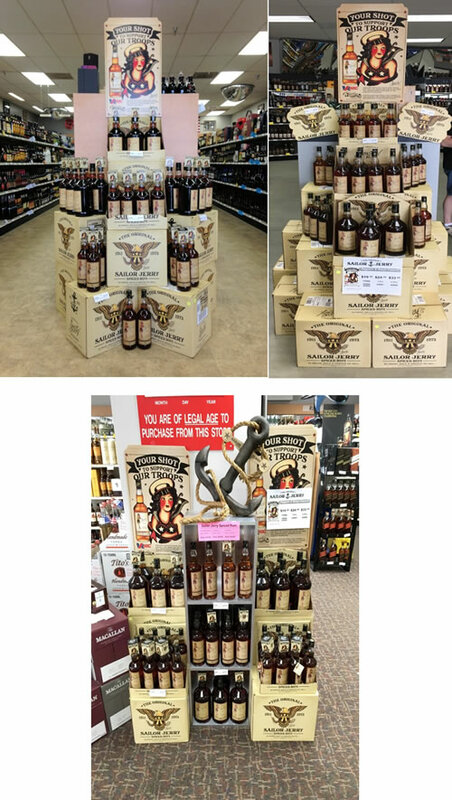 Displays in several of the ABC stores in the State of Virginia…. 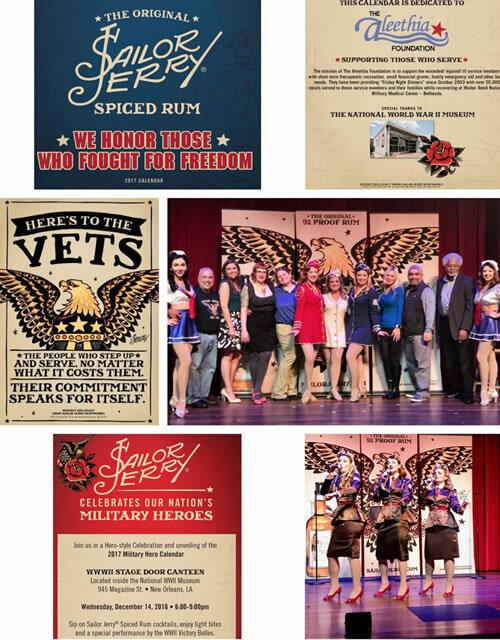 “We Honor Those Who Fought for Freedom!” … Sailor Jerry celebrated the unveiling of their 2017 Calendar at the National World War II Museum in New Orleans. 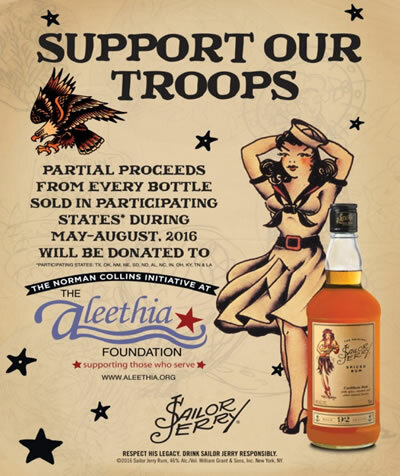 The calendar was dedicated to the Aleethia Foundation and included four of our Military Warriors! 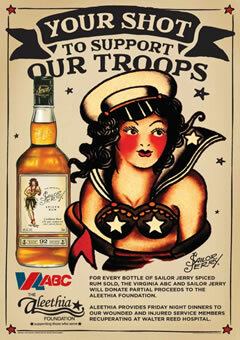 The evening included special performances by the WWII Victory Belles. 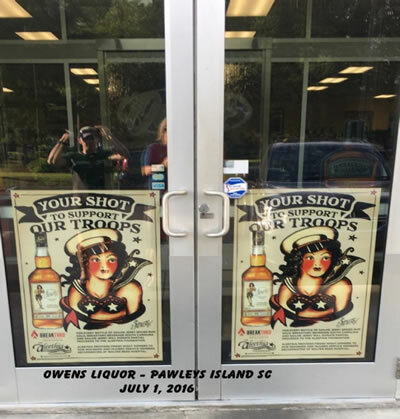 Aleethia wishes to thank Shannon Brookshire, Regional Marketing Associate-West and Jorge Lauriano, District Manager-Louisiana of William Grant & Sons and to others who were instrumental in producing this wonderful calendar honoring the veterans. 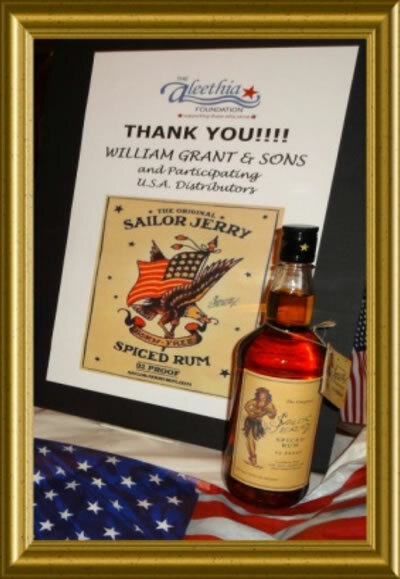 THANK YOU to William Grant & Sons and participating USA distributors for SEVEN YEARS of financial assistance to the warriors through donations to the Aleethia Foundation. 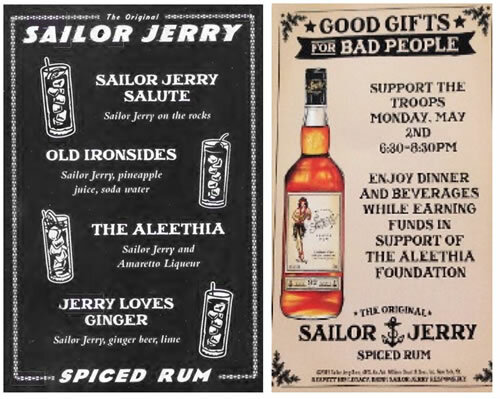 With the participation of the USA distributors in the “Sailor Jerry Rum” programs, their fundraising efforts preserves the dignity of the service members so they do not have to parade in front of a camera or attend fundraising events in order to get the support they need and truly deserve.